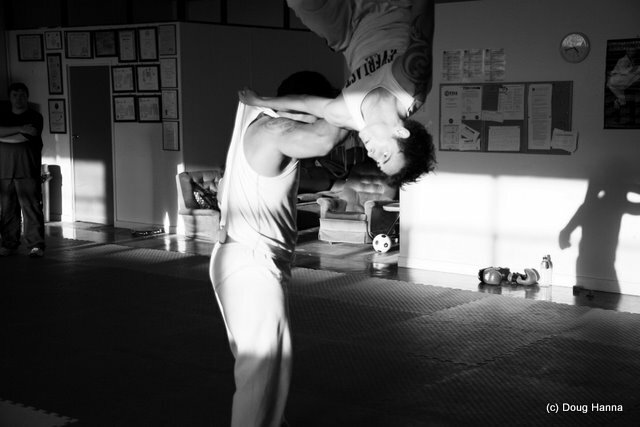 Another image of Luke and Mark practicing their pre-arranged sparring in May 2007. Mark is caught at the peak of his flip. I was lucky that the harsh light caught his face. If they were in the shade the photo would have been a write off.